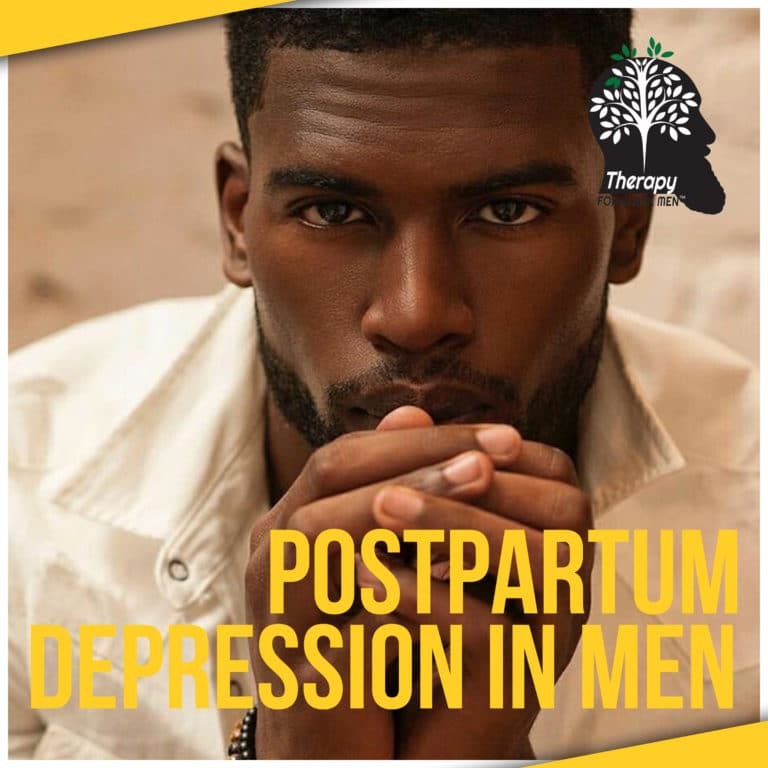 Let’s face it when it comes to postpartum depression in men, how many of us really think this is a real thing? If you’re like me, you probably didn’t know that 1 in 10 new dad’s experience postpartum depression after the birth of a child (PSYCOM). That’s not a big number, but it is significant nevertheless. In fact, I’d go out on a limb and say that this number is higher, but this is only what is reported. Let me be honest, I surely didn’t think postpartum depression in men was real until it hit me. I’m writing this during what I hope is the end of my battle with postpartum depression. On May 2, 2018, my son was born. As joyous of an occasion it was for me and my family, I was finding it hard to focus on the goodness of the here and now because I was too busy thinking of the fact that my cousin had been murdered just hours earlier and had died in the same hospital. Other things that came to mind were the hours of sleep I would lose, the personal time I would lose, and perhaps most importantly, I was thinking about how I had just fallen lower on the totem pole of my wife’s attention. On top of it all, my most challenging thought was that I knew nothing about how to raise a son. I am still struggling with not having a solid relationship with my father. All of this raised my anxiety. Yes, my anxiety was real, but I didn’t think it was getting the best of me. Being that my son is my second child, I felt my experiences with my daughter prepared me for the days ahead. That first night at home reminded me that I was officially and fully in the trenches. I didn’t know how I was going to make it. I felt that if I kept reminding myself that the sleep deprivation would go away sooner than later, it wouldn’t affect me as much. When my son cried for long periods of time, I told myself that it would soon be over and I could handle it. I was wrong. It wasn’t until I wound up in the ER that I realized that my anxiety was getting the best me. Considering all things, including the murder of my young cousin, my symptoms are not surprising to me. At the same time, I realized that these were the same symptoms I experienced when my daughter was born. I know for sure my wife had a bout with postpartum depression with our first child, and perhaps I experienced it as well because research tells us that half of all men who have a spouse who is suffering from postpartum depression will be depressed themselves (PostPartumDepression.org). We also know that not all cases are reported. I was one of the unreported cases. The first eight weeks after my son’s birth was the most challenging of times for me. What made it worse was that my wife and I were actually considering separating from each other, and I was under a great amount of work-related stress. I felt like my life was falling apart, and no one noticed. My mind and my body were slowly regressing to a negative state; a depressed mood. I felt like no one knew or cared about my wellbeing. In hindsight, I think my symptoms were just pushed aside as “something is wrong with Eric, he’ll be alright.” I wasn’t. I felt all alone and I had begun to lose hope that certain things would get better. The continuous stomach pains I felt every day finally drove me to seek help. First, I called my Doctor — he was on vacation. I figured the pain would subside, but it didn’t, so I went to a walk-in clinic. I was told to try Prilosec, and when the symptoms persisted, I went to the ER. It wasn’t until my trip to the ER confirmed that all of my organs were functioning normally and all my vitals were good, that I was positive — I’ve been dealing with some postpartum depression. I knew I had to get my self-care routine back on track. I knew I needed to visit my therapist. I also knew I needed to tell my wife how I had been feeling. By doing all three of these things I’ve noticed my anxiety lowered and my depressed moods are fewer and farther between what has been the norm lately. My wife has taken priority in making sure that she is helping me to stay on track with my overall health. I can say that my wife having my back has made a world of difference. It wasn’t until I listened to my body and opened up about my condition that I was able to get back on the road to my normal daily functioning. 1. Talk about it. Find a trusted friend, spouse, or family member who you can be vulnerable with and begin telling them what you’re going through. 2. Exercise. You’ve probably heard it by now, but I’ll say it here. Exercising is the best remedy for a depressed mood. Find 30 minutes, 3-4 times a week to get in a walk or some type of exercise. I promise you’ll feel better and less anxious. 3. Consider counseling. Seeing a counselor for talk therapy was very helpful to me. I never tried anti-depressants, but sometimes anti-depressant or anti-anxiety medication might be the necessary route back to normal functioning. Eric D. Capehart, Sr. is a mental health therapist and is the Creator and Host of The Morning Huddle Podcast, a mental health podcast expressly inclusive of the black experience.